Have you ever been in the need of wearing one of those dull looking orthopedic collars? Or the ones that are so complex that feels like if wearing a mediaeval armour? If yes you might remember how uncomfortable they are to wear well those days might be over, two companies CRP Group and Design Studio MHOX have taken this products to a whole new level and is in the final stages prior to hitting the market. This orthoses (as they are known in the medical jargon) are used to provide with support, preventive or correction of deformities. 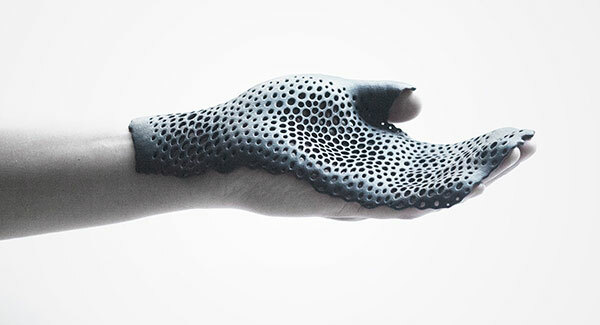 MHOX has designed two orthoses to be used in hands and legs, this two are meant to be worn after a surgical procedure and their main function is to help the patient in their rehabilitation process, in the case of the orthoses for legs it aims in making it easier for the user to go throw the gait cycle (the walking cycle). CRP Group provided MHOX the raw materials for 3D printing the first pieces for testing in patients, the materials used are a special laser sintering polyamide-based plastics that mix with fibre glass thus creating an elastic, impermeable and durable product. This design was developed under a 3 stage design methodology where; first, the patient granted concern to have his/her limb scanned via an easy to use portable 3D scanner. In this case the plantar, which is a specific joint centred in the ankle was the centre of attention for the designers because of its unique geometry that varies from person to person. Nice looking design and enhanced rehabilitation process, polyamide-based plastics and fibre glass. Then, in the second stage a CAD model was generated with the data captured by the 3D scanner and finally in the third stage, cast or orthoses were 3D printed with the polyamide-based plastic along with the fibre glass generating a completely tailored solution for the patient, in the case of the leg orthoses the 3D printed result provided with active support and control in the gait cycle reducing considerably the recovery time. 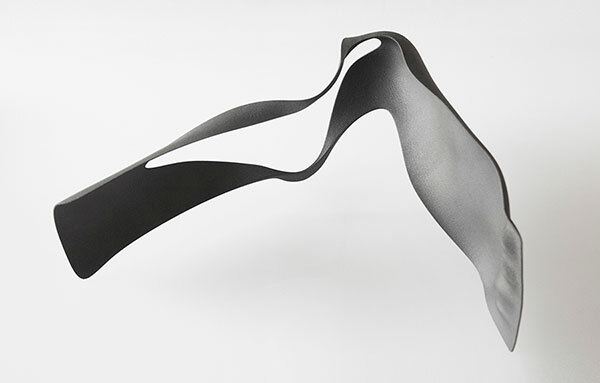 Leg orthoses, the result of 3D printing and data obtained from 3D scanning. Apart from looking awesome and sleek this solutions optimize the recovery time as well as the approach by the doctors when recommending treatment, they also create great time and cost savings for hospitals. CRP Group and the design team at MHOX are looking into developing further this process with the aid of 3D printing in order to provide better solutions for patients with more complex situations like nerve or muscle related pathologies. Who knows, maybe this solutions will be strongly linked to 3D printing of tissue and cartilage, maybe one day we will have our own home doctor and ER room where solutions will be 3D printed rather than taking prescriptions the pharmacy. Can somebody point me in the direction of a person or group who can design a functioning neck brace for my aging father? He fell and shattered his T-1 4 weeks ago. Due to his age and health issues he was deemed as unsuitable for neck surgery and now has to live the rest of his days with a broken neck. My father is currently in a hospital in Stockton, CA–where their specialized doctors are sorely lacking ideas or sophisticated technology. Please help.